Ever have trouble falling asleep? Autism and sleep challenges often go hand-in-hand. Reaching adulthood has many implications for individuals with autism, even when it comes to sleeping properly. There are times when I, too, struggle to drift off into dreamland. While there’s no perfect cure, I can still share what I’ve learned with you all. Even if you don’t have autism but wish you’d get more sleep, this article might help you, too. 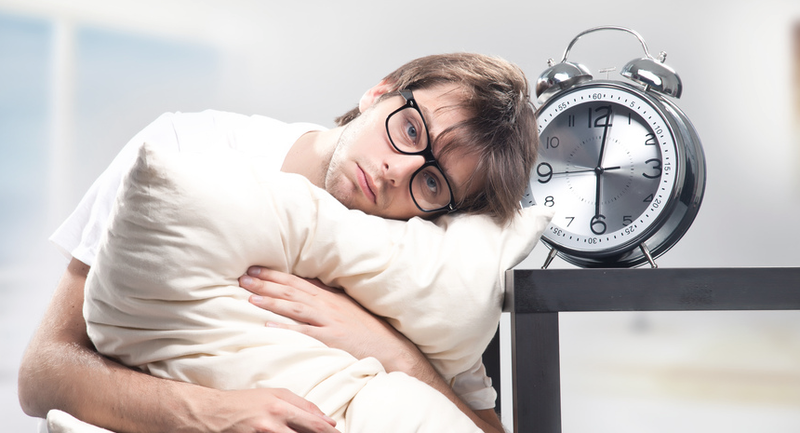 What Do Pervasive Sleep Problems Feel Like? For those of you who don’t know what it’s like to have sleep troubles, let’s just say it’s vaguely like a workout. There’s lots of movement, hot flashes and sweating, and just a hint of muttering to yourself how “stupid this is”—alas, decidedly unlike a workout, you can’t choose to keep it up and one day love it. However, that’s not all, as there’s even the possibility of nightmares, to say nothing of resting for maybe an hour or so only to wake up and start the whole thing over again. Oh, and then come sunrise you’ve got the next day to deal with when you feel groggy and irritable! It can be quite the burden, especially when we’re supposed to get seven to eight hours of daily, uninterrupted sleep. That’s the picture of sleep trouble, and it’s not a pretty one. It’s important to know what stops us from sleeping. For one thing, adults with autism go through a lot of confusion and frustration when trying to interact with others, and this can hurt us in ways that show themselves at nighttime. When trying to sleep, we may remember something upsetting and it creates anxiety that prevents any rest. Another culprit is pent-up energy; having too much left over can be a problem—I’ve had so much energy before that the last thing I wanted was sleep! However, the biggest culprit can actually be anticipation. I’m talking about thinking, even obsessing over what can or will happen in the future, be it immediate or far-off. Oftentimes, it can be a combination of these things, and it can be overwhelming at times. When it comes to how best to tackle such an issue, here’s what I suggest. For starters, consider drinking more water. How many times have we all heard that we need eight glasses of water a day? It keeps our bodies nourished and thriving; it keeps us alive, and not getting enough water leads to psychological disturbances, and that includes a lack of sleep. Speaking of water, how about trying to take showers at night? The hot water and steam can relax you; it can also open up your lungs so you breathe in more oxygen—last time I checked, you need oxygen to sleep well! I’ve done this before and it worked for me, so try it if you haven’t already. However, what helps out the most is preparing to sleep. Your body is not going to shut down immediately the moment you want it to—it’s not a computer! Falling asleep is a process, which means taking the right steps beforehand. That means don’t do anything that’d rev up your brain and body when it’s time for you to relax. If you hit the hay at 10:00 P.M., then at 8:00 you should turn off all electronics (yes, your phone, too) and say, “I am going to sleep now”—actually say that out loud in a calm voice; no, you don’t need to lie in bed for the next two hours, but do get yourself in the right state of mind so that you’ll feel ready to when the time comes. Preparation gets you where you need to be. Life with autism has its challenges, and sleep is one of them. However, something can be done about it. Just follow my suggestions and a good night’s sleep is sure to come more easily. Trust me—you’ll remember the letter “Z” soon enough!